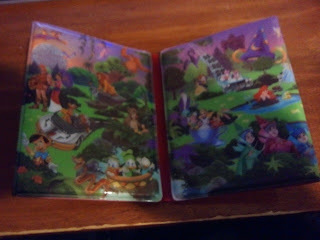 Everything Dizney: Coins, Coins, Coins!!! So today I went to 2 Good Wills. At the first one, I found a kermit but realized that he had a rip in the head. So I just left him. There was also a Beauty and the Beast mini snowglobe but it was from the Disney Store and did not quite look like it was worth $4.00. So I went to the 2nd Good Will where I found something from Disney World. 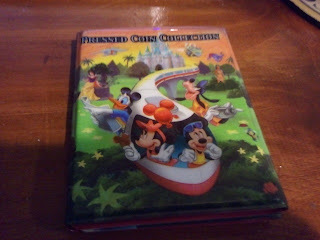 Today I found a Pressed Coin Book from Disney World. Not sure when the book was originally sold in Disney. The Pressed Coin book was 99 cents but because today was Yellow and Red Tags 50% off, it was 50 cents. Inside were 3 pressed quarts (75cents) and 27 pennies, so literally I got my 50 cents back + 50 cents more. lol. 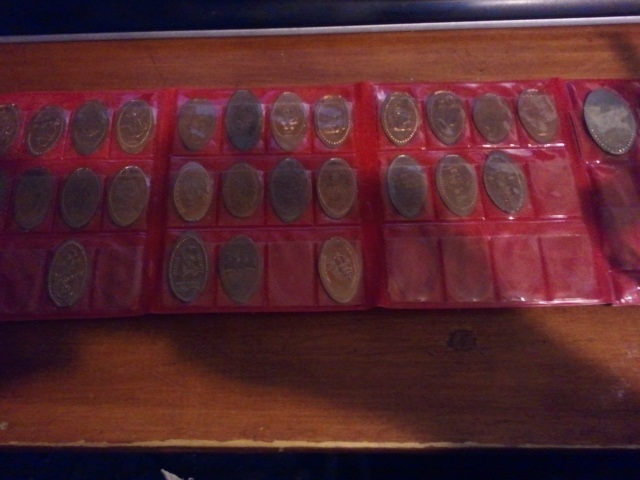 Not all the pennies are from Disney. I got, 17 coins in total from Disney (2 quarters and 15 pennies), 1 from the Statue of Liberty, 1 from James Town, 1 from Las Vegas, 1 from scinec fiction museum and Hall of Fame and the rest (8) are from Universal Studios. The 3rd quarter is from Rainforest Cafe in Orlando. I was so surprised I found this. lol. Two of the quarters are from the 75th Anniversary of Mickey Mouse which I think are cool because I don't think they have these machines there anymore. But I could be wrong.